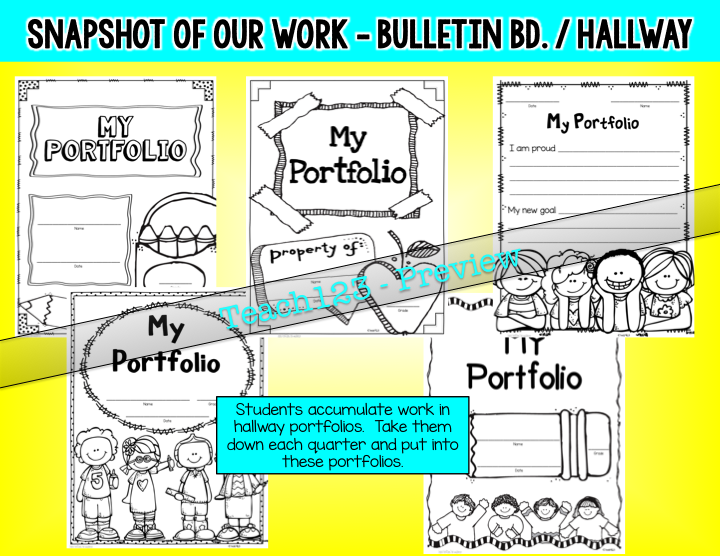 Bulletin Board – Hallway Decoration + Portfolio: All in One! Do you have cork strips in the hallway outside your classroom? These were always a challenge to me because I couldn’t decorate them like a traditional bulletin board with all the background, border, and other things that add color to hallway. 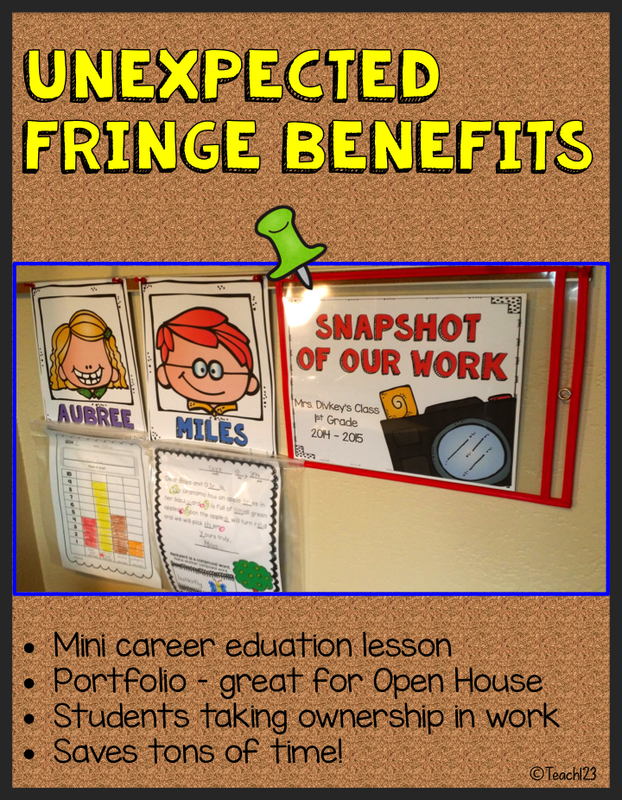 I finally figured out a way to add color, show my students’ work, and it ended up having some unexpected fringe benefits. Then I figured out a system where every student had their own assigned spot with an attached ziploc bag. In the beginning, I had my students put the same assignment in the bag and I made a sign telling about the assignment. Before we worked on assignments that would be displayed in the hallway, I reminded my students that this should be their best quality work because other people at our school would see their work. Before long, some of my students were asking if they could add this assignment or that assignment to bag in the hallway because it was their best quality work. This led into a discussion about careers that have portfolios. 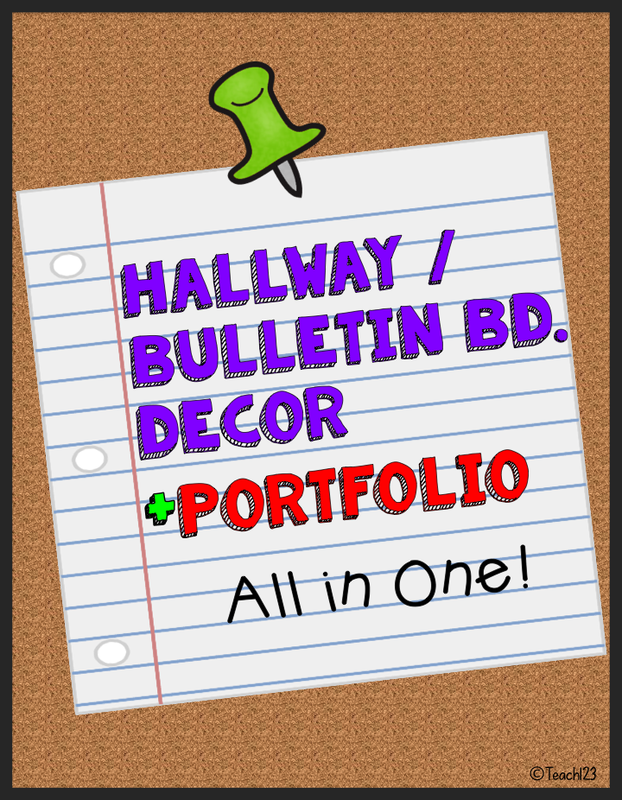 So, then we began calling our bags in the hallway our portfolios. 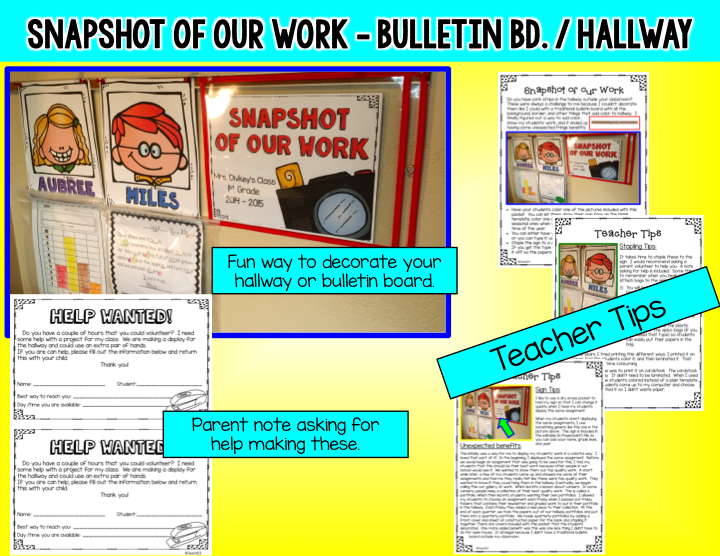 One thing led to another and from that came more unexpected benefits, all because I was having trouble trying to figure out how to decorate my hallway when I didn’t have a traditional bulletin board. 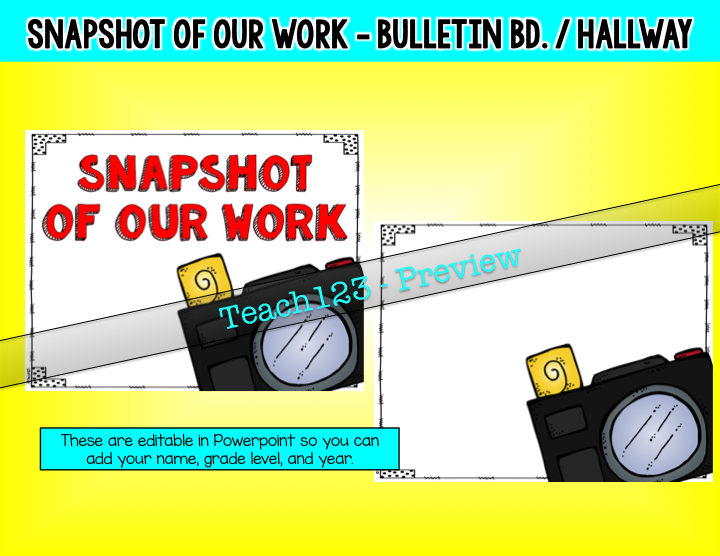 I just finished a packet that has teacher tips, a parent note asking for help, portfolio printables, and other helpful printables to make your own Snapshot of our Work bulletin board – Hallway decor set. 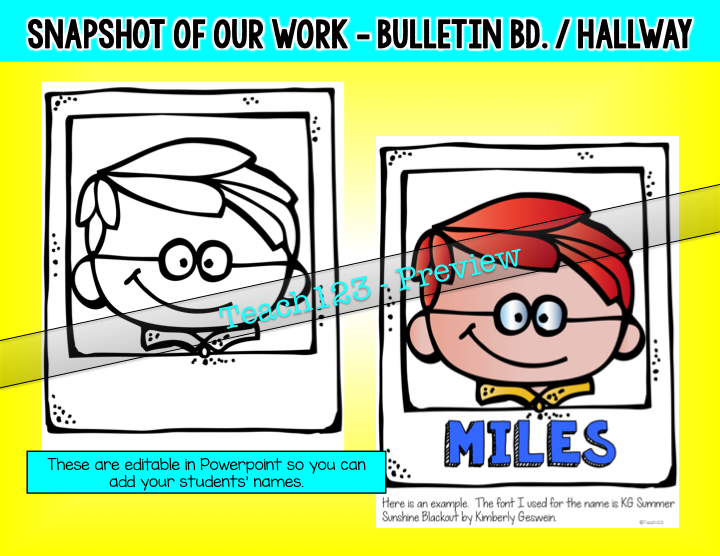 Some of the pages are editable in Powerpoint. I won this product on FB and still have not received the email you said I would get. I can't wait to try this with my students! I have sent 3 emails trying to contact you. Don't forget to check your spam folder. The email that you listed on my Facebook post was (mongal22@hotmail.com). Is that the correct email address? Is there a better way to reach you?